A woman is like a palette of colours. Just like the colours, she too displays a different tint and shade at different points of time. The colours you perceive are the ones you make her show. If you love her, she will adore you; if you give her wings she will soar but if you hurt her, she may take time but will one day bounce back in retaliation. NeelamSaxena Chandra completed her Engineering in Electronics & Power Engineering from V.N.I.T., Nagpur and went on to finish PG Dip in I.M & HRD and PG Dip in Finance Mgmt. She is a bureaucrat working with Indian Railways. She shares from an incurable passion of writing poetry and fiction. Around seven hundred of her stories/poems have been published in various leading Indian as well as international magazines, anthologies and journals. 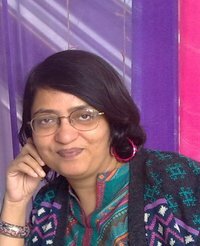 Many of her stories/poems have been transmitted by Akashwani (Radio) also. 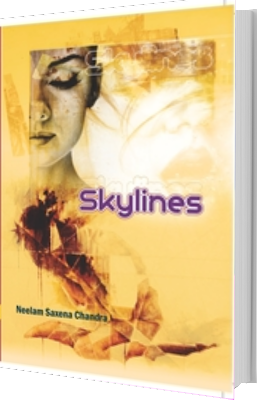 Neelam was recently nominated in the list of 78 most well-known authors in India by Forbes for the year 2014.